[tweetmeme] There are now over 143 million blogs on the Internet and when I launched Nonprofit Tech 2.0 in September of 2009, I had very low expectations. I wasn’t convinced at all that the world needed another blogger. But within a few months it was clear that blogging was the missing piece in my online communications strategy. 80% of my ROI (Return on Investment = webinar registrations, new clients, speaking engagements) comes from my e-Newsletter, and thanks to blogging my e-Newsletter list has jumped from 3,000 subscribers (which took 4 years to build) to almost 8,000 in 10 months! That said, in addition to being a great tool to build your e-Newsletter list, if your nonprofit is regularly updating Facebook and Twitter accounts, then your organization needs to be able to produce, contribute, and distribute fresh, quality content. Not only that, blogging can dramatically transform search engine results for your organization, but that is another blog post. Why send around that New York Times article when instead you can promote a link to your blog post (complete with your organization’s branding, e-Newsletter sign up box and “Donate Now” button) commenting and linking to that New York Times article? Timely, relevant breaking news is basis of a good social media campaign. 2. Post calls to action. Write a blog post asking your supporters to send an e-mail to Congress, to attend an event, or “Like” you on Facebook. It’s amazing what your supporters will do for you if you just ask. 3. Ask supporters to donate. Use your blog to publish distribute an urgent fundraising appeal. Tell your story passionately and briefly, and make sure you have a “Donate Now” button directly inserted into the blog post. 4. Share stories, photos, and videos from events. Nonprofit bloggers should think of themselves as reporters, and a very popular blog is always a report back on an event complete with a photo slideshow or video. 5. Allow guest bloggers to share expertise and experience. Ask a community leader, activist or educator to write an article related to your organization’s mission and programs. A blog can have numerous contributors! 6. Share stories from the field. If your organization has staff that travel or work in the field often, have them write blog posts sharing their experiences, observations and photos while on location. Again, nonprofit bloggers need to think of themselves as reporters. Blogging only about your organization and its work is a mistake. Expand your ideas about what you can write about. If yours is a health organization, give exercise or quitting smoking tips. If your organization serves children, write a review for a new children’s book. You get the idea. The possibilities are endless. If you get written up in a magazine or the local paper, write a couple of short paragraphs about it and link to the article. That same is true if you get broadcast news coverage. Get a copy of the story and upload to your YouTube channel, and then promote it on your blog. 9. Share your social media success stories. You don’t need to wait for a nonprofit tech blogger to cover your social media success story. Write your own. Many people are searching for nonprofit social media success stories. Just make sure you put “social media success story” in the blog title (and “nonprofit” if you can). Google “nonprofit social media success story” and you’ll see what I am driving at. 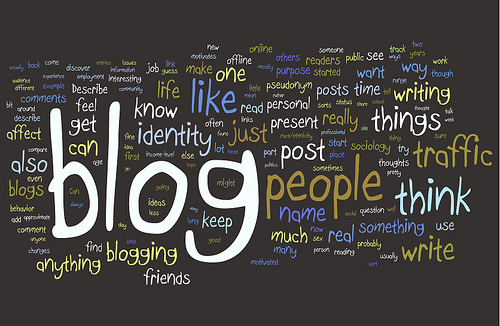 Blogging transforms search engine results. 10. Interview experts, volunteers, donors and board members. Do a 10-question-and-answer interview and then post it on your blog complete with a photo of the person being interviewed. Simple and potentially very interesting. Fantastic post. As a nonprofit blogger myself, I find this to be a wonderful list of things I can do…thank you! Ditto! I really love the idea of expanding our blog content outside of our organization’s work. That’s something I frequently forget about when trying to come up with content. Nonprofits can often get lost in the confusion of self-promotion and community on goings; this is a wonderful post that I’m sure many will use as a guideline! Thanks everyone. I am glad you found the tips useful! Heather, excellent & useful post, as usual. Obviously, hosting a blog on one’s own website requires some degree of technical know-how. Aside from that, would you talk a bit about pros & cons of blogging on WordPress (etc.) vs. blogging on your own site? Hi… if you can host your WordPress blog inside your website, that is the best practice… but yeah, technical issues will make this impossible for a good number of nonprofits. Thanks. Okay. Our hosting service uses the Fantastico tookit, making it easy to install WordPress directly on our (pre-existing) site. That’s the direction I was leaning toward, so thanks for confirming. You just earned a new subscriber! Great list for brainstorming ideas. I wandered over here from the Facebook page of your friends over at Small Act. Blogs helping blogs helping nonprofits! Excellent post for brainstorming ideas. Thanks! posting calls to action can definitly make a huge difference, it is important that all non-profits fully embrace blogging! Great advice and love this blog. Unfortunately, we dont have any techies at our non profit and volunteers with this knowledge have proven ynreliable. We are redesigning our website but still dont have the knowledge to start a blog. Very helpful! As I read, I went to my website and made some changes and wrote down the FUTURE expectations and website changes for my nonprofit : ) Thanks for the knowledge! Timely post. I’ve found entirely too many bloggers writing content only about themselves. And unless you’re the most interesting man in the world, that gets really old really quick. Wow! I love how clear and easy-to-read your post is! And, you’ve definitely given me some great ideas for my new blog as well. Thanks! I think asking for blog comments to write about specific personal experiences relating to the theme of the blog post or the entire blog itself is a good way to go. Great post and a full on subscriber now! We definitely are working on our blog. How do you get people to even read it and comment? I assume a lot has to do with content? Take a look at http://www.sendasmile.com, this is a great tool for non-profit organizations to get some extra funding. It is a huge success in the Netherlands and now launched in the US and the UK. Thank you for your Greet Post! Thanks for sharing the idea for nonprofit blog content. I work for nonprofit organization global community communications alliance & I will use the ideas mentioned by you.